Original Editors - Casey Sisk and Shelby White from Bellarmine University's Pathophysiology of Complex Patient Problems project. Those with limb involvement and severe central nervous dysfunction. The vast majority of individuals affected by AMC enjoy a normal life, living just as long as other adults. However, due to some of the secondary complications such as neurological involvement, or contractures involving the spine or chest wall, there can be more life threatening consequences. In the most serious cases, about 50% of infants that have central nervous system dysfunction in addition to the contractures do not live through their first year. In order to ensure the highest care for these infants, continual monitoring of their respiratory functioning is highly suggested. If they are to contract an upper respiratory infection, this could potentially have life-threatening effects because of the underdeveloped muscles and spinal deformities already present. Eating difficulties due to difficulty swallowing and jaw opening weakness. 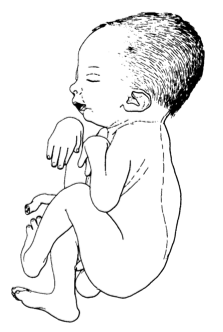 It is thought to be related to decreased movement in utero which allows for excessive connective tissue to form around the joints. This excessive connective tissue can result in the joint becoming fixed and/or limiting the movement of the joint. Decreased fetal movement can be caused by fetal crowding, secondary to maternal disorders (viral infections, drug use, trauma, or other maternal illness), and low levels of amniotic fluid around the fetus. Surgical management of AMC is not the primary source for treatment. After therapeutic resources (physical therapy, orthotist, OT, SLP, geneticist, etc,) have been utilized, some joint contractures may still persist beyond the level of management these services can offer. This is usually when a surgical option is discussed in order to provide that individual with a better quality of life. Orthopedic surgery can be done for the joint contractures that are resistant to therapy, stretching and casting. Surgical intervention may include osteotomies (bone cuts) and tendon/ muscle lengthening. Interestingly, a unique trait to this disease, which can add complexity to treatment is that none of the musculoskeletal tissues that are surrounding the contracted joint are normal structurally. If the child does have muscular limitation, tendon transfers have also been performed to improve the length tension relationship and the mechanics of the specific muscle. If a tendon is causing a joint to be held in an abnormal position, a tenotomy can be performed to release the joint from the pull of the tendon. These procedures are usually assisted by capsulotomies as well. One example of soft tissue reconstruction in a child with AMC would be using the pectoralis major muscle as an elbow flexor instead of the contracted biceps muscle to improve function of the UE. Due to the variability of where the contractures present in each child, other procedures can be carried out according to that body location such as talectomy for equinovarus in the foot. Other research has been conducted on using a femoral-sciatic nerve block through either neurostimulation or ultrasound for distal arthrogryposis cases. Management of orthotics that can assist in gait and independence for children with AMC. Strengthening the patient’s muscles, specifically the hip extensors, quadriceps, and shoulder depressors. Stretching of joint and muscle contractures assists in promoting active muscle use to avoid immobilization. Teaching a patient how to use an assistive device such as a gait trainer, a walker, crutches, orthotics, etc. 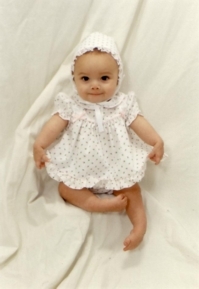 Specifically in infants physical therapy can include: gross motor skills (rolling, sitting, crawling, standing, walking, etc), foot abduction braces, thermoplastic serial splinting, position activities such as stretching the hip flexors and prone positioning, and standing in a standing frame/stander. 2. Shahrokhi A, Gharib M, Kooshesh MR.
Sucuoglu H, Ornek N, Caglar C. Arthrogryposis Multiplex Congenita: Multiple Congenital Joint Contractures. Case Reports In Medicine [serial on the Internet]. (2015, Oct 28), [cited April 11, 2016]; 1-4. Available from: Academic Search Complete. ↑ 2.0 2.1 2.2 2.3 2.4 Campbell SK, Palisano RJ, Orlin MN. Arthrogryposis Multiplex Congentia. Physical therapy for children. 4th ed. St. Louis, MO: Elsevier/Saunders; 2012. p. 313–32. ↑ 5.0 5.1 5.2 Perajit E, Kamolporn K, Ekasame V. Walking ability in patients with arthrogryposis multiplex congenita. Indian Journal Of Orthopaedics [serial on the Internet]. (2014, July), [cited April 10, 2016]; 48(4): 421-425. Available from: Academic Search Complete. ↑ 6.0 6.1 6.2 6.3 6.4 6.5 6.6 6.7 6.8 Kalampokas E, Kalampokas T, Sofoudis C, Deligeoroglou E, Botsis D. Diagnosing Arthrogryposis Multiplex Congenita: A Review. ISRN Obstetrics & Gynecology [serial on the Internet]. (2012, Jan), [cited April 10, 2016]; 1-6. Available from: Academic Search Complete. ↑ Ponde V, Desai A, Shah D, Bosenberg A. Comparison of success rate of ultrasound-guided sciatic and femoral nerve block and neurostimulation in children with arthrogryposis multiplex congenita: a randomized clinical trial. Pediatric Anesthesia [serial on the Internet]. (2013, Jan), [cited April 10, 2016]; 23(1): 74-78. Available from: Academic Search Complete. ↑ Bartonek Å. The use of orthoses and gait analysis in children with AMC. Journal Of Children's Orthopaedics [serial on the Internet]. (2015, Dec), [cited April 10, 2016]; 9(6): 437-447. Available from: MEDLINE.